On the 1st of September, 2NE1 attended the Adidas promotional event held at the Daegu Stadium. While members, Bom, Dara and Minzy wore bright Adidas Firebird Track jackets, leader CL went for a fiercer look. She wore the classic Firebird Track Top in Black and White,which is currently on sale for $43.95 . For additional savings rep code, Kstyle can save you up to 20% off your entire purchase. Happy Shopping! I’ve been seriously in love with Good Wood‘s Cherries necklace ever since I saw 2NE1‘s CL rocking the piece on an episode of Music Bank back in August. I am very excited that I finally got my hands on it! The Cherries necklace retails for just $25.00, so if you want to try CL’s look, purchasing two will definitely fit in your budget! This is absolutely a fun way to add some flair to a pair of simple hoop earrings. Of course, if you are not a D.I.Y kind of person (like me) the original piece as is, is just as cute! 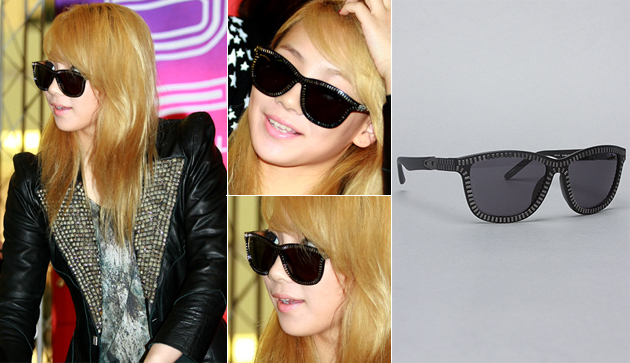 On the August 13th airing of Music Core 2NE1 performed their latest hit, UGLY in stylish customized pieces from Mishka. Leader CL, wore my favorite looks, a tank, shorts, funky tights and the Keep Watch Necklace from the Mishka x Good Wood collaboration! The necklace retailed for $64.00, but Karmaloop currently has it available for just $42.95! Sweet, right? For more savings use rep code Kstyle, at the checkout for up to 20% off your purchase. Happy Shopping! On the latest airing of Music Core, 2NE1 wrapped up promotions with a final performance of their club hit, I am the best. The girls kept in fierce and fun with their dancing and of course bold Rave concept, styled in pieces from Mishka. 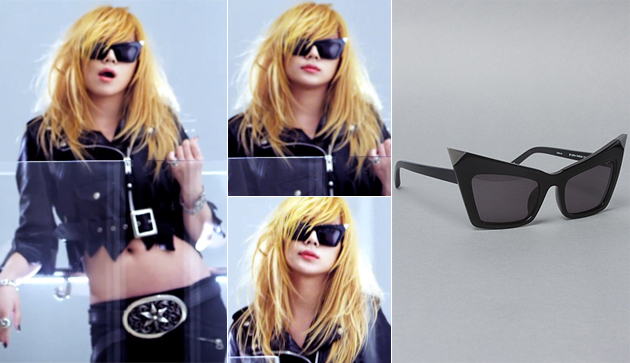 CL wore a personal favorite, the Death Adders Tank top in Black ($40.00)! Thought the tank is from the mens collection, it can be worn by both genders. Karmaloop currently has it in stock along, so be sure to check it out. Rep code Kstyle can save you up to 20% off your purchase. Since 2NE1 was announced as the latest face for the Adidas originals by Originals, the girls have been working long and hard on their collaborative project. Recently the girls participated in the Adidas shoe maker and released various Summer photos. For CL‘s solo photos she was styled in a Adidas mix and match tracksuit, classic adidas shoes and brought her personal style with the Barracuda Glasses ($235.95) from A-Morir by Kerin Rose. The funky pair is currently available for 33% off at Karmaloop, though use repcode Kstyle at the checkout for additional savings. Up to 20% off! Happy Shopping!